Dust jacket notes: "What is the essence of graphic design? How do graphic designers solve problems, organize space, and imbue their work with those visual and symbolic qualities that enable it to convey visual and verbal information with expression and clarity? The extraordinary flowering of graphic design in our time, as a potent means for communication and a major component of our visual culture, increases the need for designers, clients, and students to comprehend its nature. In this lively and lavishly illustrated book, the author reveals the very essence of graphic design. The elements that combine to form a design-- signs, symbols, words, pictures, and supporting forms--are analyzed and explained. Graphic design's ability to function as language, and the innovative ways that designers combine words and pictures, are discussed. While all visual arts share common spatial properties, the author demonstrates that graphic space has unique characteristics that are determined by its communicative function. Graphic designs can have visual and symbolic properties which empower them to communicate with deep expression and meaning. The author defines this property as graphic resonance and explains how it occurs. After defining design as a problem-solving process, a model for this process is developed and illustrated by an in-depth analysis of actual case histories. This book will provide insight and inspiration for everyone who is interested or involved in graphic communications. While most materials about form and meaning in design have a European origin, this volume is based on the dynamic and expressive graphic design of America. 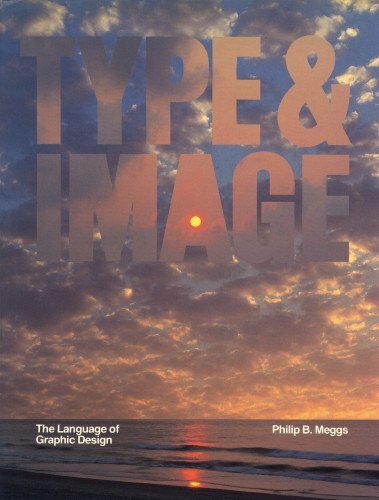 The reader will find inspiration, hundreds of exciting examples by many of America's outstanding graphic designers, and keen insights in Type and Image." View More In Graphic Design. If you have any questions about this product by Van Nostrand Reinhold, contact us by completing and submitting the form below. If you are looking for a specif part number, please include it with your message.